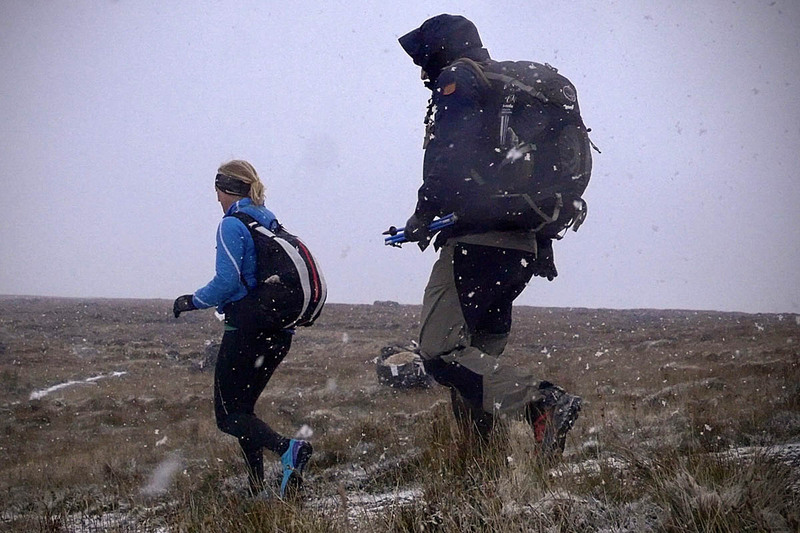 The event, in the Black Mountains in south Wales, attracted 300 new entrants. The mountain marathon has been running for 50 years and is held at the end of October to guarantee challenging weather to test the skills needed on the UK’s mountains and exceptional early low temperatures of -12C ensured runners’ mettle was tested this year. Teams of two have to plan a route to find a series of checkpoints and undertake an overnight wild camp before returning the following day. All the necessary gear and camping equipment has to be carried with the competitors. By the end of the first day, after 6hrs 35mins on the hills, skyrunning world champion Jonathan Albon and his triathlete partner Gudmund Viljo Arponen Snilstveit led the elite course by two minutes over seasoned elite OMM runners Nicholas Barber and Jim Mann. 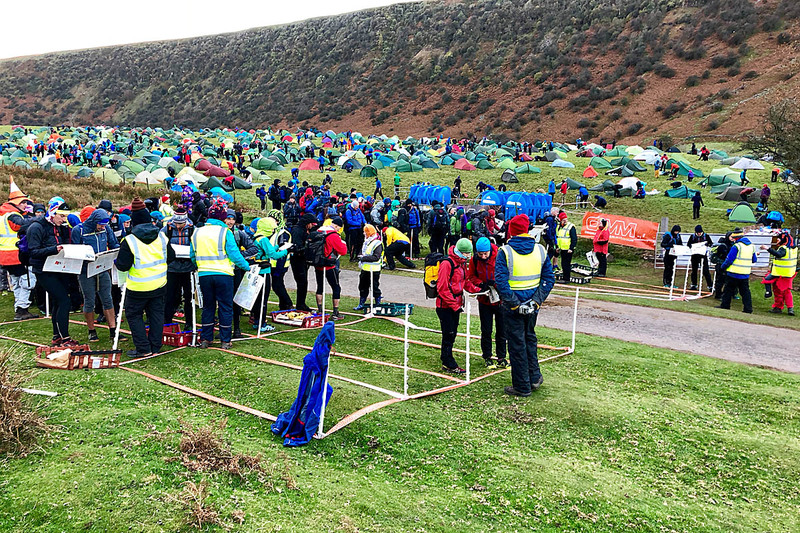 The rest of the 2,000 competitors completed their routes to the overnight campsite near the hamlet of Capel-y-ffin, close to the Wales-England border. The runners spent a bitterly cold night under a clear sky before racing back to the event centre the following day. Albon and Snilstveit extended their lead over Barber and Mann as the newcomers quickly gained confidence to take the elite win, with an impressive third place for Edinburgh University team Alistair Masson and Tim Morgan. Organisers of the 51st OMM were encouraged by the increasing interest in the event. A spokesperson said: “It’s great to see the event still growing after 50 years and we’re pleased that the OMM is still inspiring new people to access wild spaces in the UK”. The OMM takes two years of planning and involves a number of organisations, including mountain rescue. Longtown Mountain Rescue Team, in whose area the marathon took place, welcomed competitors to the Brecon Beacons. Team leader Luke Lewis said: “We’re happy to support the event. A lot of people will have seen how great the [Black Mountains] area is. It’s a great event. 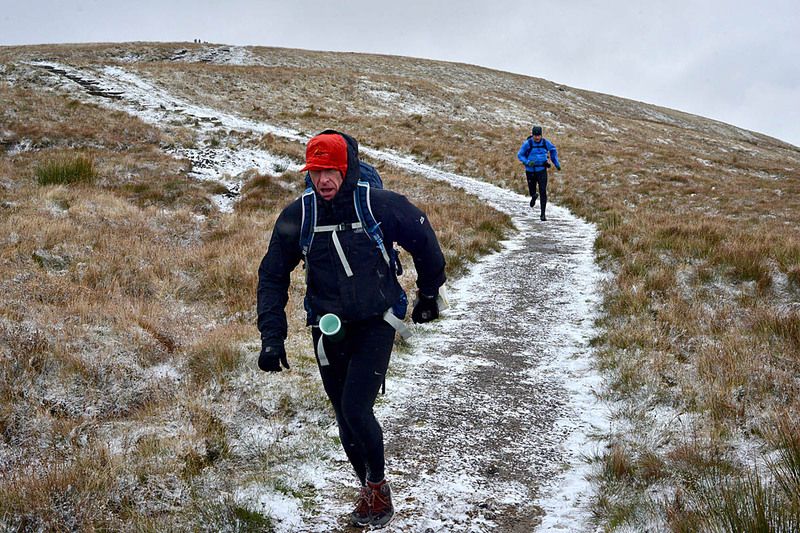 The Original Mountain Marathon began life as the Karrimor International Mountain Marathon, with the first event staged in the North Pennines in 1968. It visits a different area each year and the exact location is only released a month before the date of the marathon. Next year’s OMM will take place on 26 and 27 October, with entries opening on 1 December 2018. They weren’t blizzards. They were light snow showers. Also, I feel that minus 12 probably includes wind chill, when we were mostly tucked up in our tents... Minus 2 at most I think.